The clamped horizontal bar mat set is used for horizontal bar. The mat set surrounds the horizontal bar. It measures an area of 36.9 square meters. It is 200mm thick. 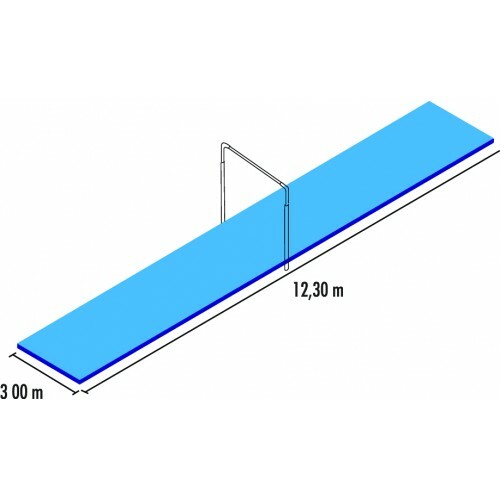 The mat has a total length of 12.3m. It measures a width of 3.0m.